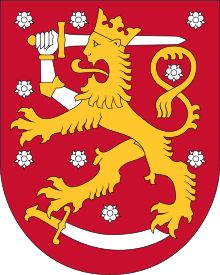 Finland (Finnish: Suomi), officially the Republic of Finland, is a country in the northern European Union, a peninsula with Gulf of Finland to the south and Gulf of Bothnia to the west. It has land borders with Sweden and Norway to the north and Russia to the east. Finland is part of the geographic region of Fennoscandia, which also includes Scandinavia and parts of Russia. [W]hy are Iceland, Denmark, Sweden, Finland, and Norway not that far behind us, ranking in the top twelve countries for antidepressant use? Is it just the long winters? Why are their drug-related deaths booming? Isn’t it possible that a generous, far-reaching welfare state depletes people’s sense of drive, purpose, and self-respect, and enables them to explore chemical forms of happiness? Under-representation of women and other inequality among researchers is a problem that will not solve itself as women acquire competence. As a country whose women are highly educated, Finland is a good example of this. Finns live in smaller homes than Americans and consume a lot less. They spend relatively little on national defense, though they still have universal male conscription, and it is popular. Their per capita national income is about 30 percent lower than ours. Private consumption of goods and services represents about 52 percent of Finland’s economy, and 71 percent of the United States’. Finns pay considerably higher taxes — nearly half their income — while Americans pay about 30 percent on average to federal, state and local governments. Too much of Finnish reality depends on uniquely Finnish circumstances. Finland is as big as two Missouris, but with just 5.2 million residents, it’s ethnically and religiously homogeneous. A strong Lutheran work ethic, combined with a powerful sense of probity, dominates the society. Homogeneity has led to consensus: Every significant Finnish political party supports the welfare state and, broadly speaking, the high taxation that makes it possible. And Finns have extraordinary confidence in their political class and public officials. Corruption is extremely rare. I was bothered by a sense of entitlement among many Finns, especially younger people. Sirpa Jalkanen, a microbiologist and biotech entrepreneur affiliated with Turku University in that ancient Finnish port city, told me she was discouraged by "this new generation we have now who love entertainment, the easy life." She said she wished the government would require every university student to pay a "significant but affordable" part of the cost of their education, "just so they’d appreciate it." Finlande is called a fayre Countrye, because it is more pleasanter than Swecia ... Muche wyne is transported thither; out of Spayne, by the sea Balthic, which the people of the Country much desyreth, onely to exhillerat their myndes ... The Finnons have continual warres with the Muscouites in the arme or bosome of the sea Finnonicus: usyng in Summer the ayde of Shyppes, and in Wynter they combat upon the Ise. Randy Marsh: Not Finland! Hey, guys? Finland's dead. In Finland parents can also choose. But the options are all the same. Our legislation in this area needed to be updated, and especially in light of France’s request for armed assistance after the attacks in Paris. We realized that our existing legislation was not flexible enough. We live in a fast changing world, and our laws on overseas military support must reflect new realities. There is faith in Finland. We have a strong history. We have always gotten our economy into shape, and there is still confidence in that abroad. There is faith that the government's measures are correct and that Finland will be able to get its economy onto a growth track and its public finances into order. Heidi Schauman, chief economist at Aktia Bank, says that international institutions still believe in Finland and in the government's austerity measures, quoted on Yle.Fi (February 7, 2016), "Despite dim outlook, Moody's is bullish on Finland"
Finnish finance minister Alexander Stubb, quoted on Irish Times (February 8, 2016), "Finland’s finance minister says country is running out of time"